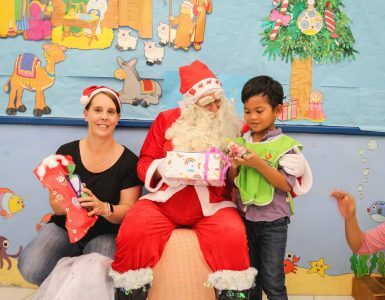 On Tuesday 14th of November, Mercure Hotel Pattaya in association with the Hand to Hand Foundation organized an outing to Pattaya’s newest family & children’s hot spot – Aqua Pool Bar & Club! 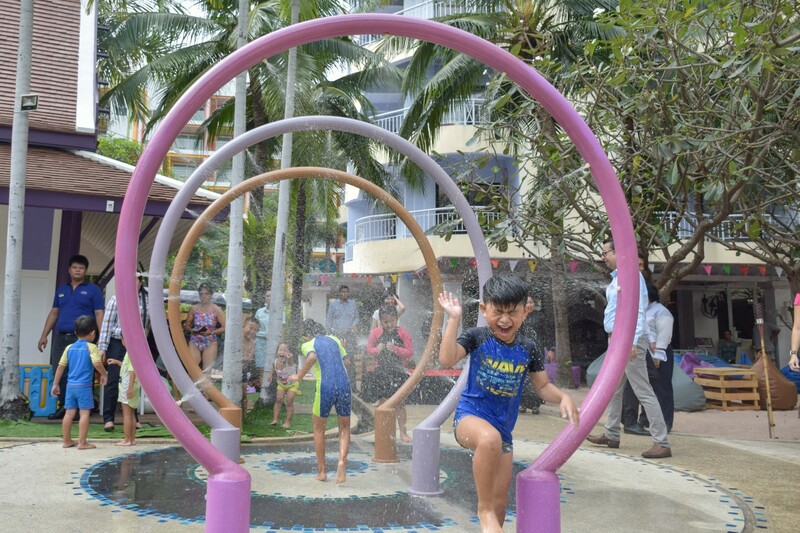 Located in Mercure Hotel Pattaya, Aqua Pool Bar & Club is bound to become a firm Pattaya favorite for all families and children. From the all-new restaurant to the premium French Bakery and dedicated Kid’s Club for some aquatic action with children slides and water curtains along with an activities area with fun-filled pursuits organized personally for you by our Activities Manager and so much more – cries of “I’m bored!” will soon become a thing of the past! slides, fountains and curtains by the poolside. 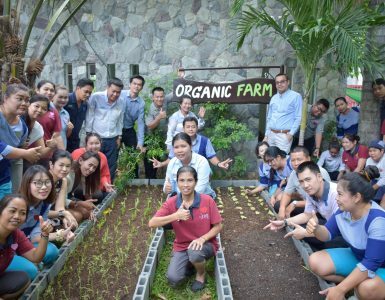 After an hour of getting soaking wet, they dried themselves off and got ready for their lunch buffet, where they were spoilt for choice with all their favorite grub prepared by Chef and his team. 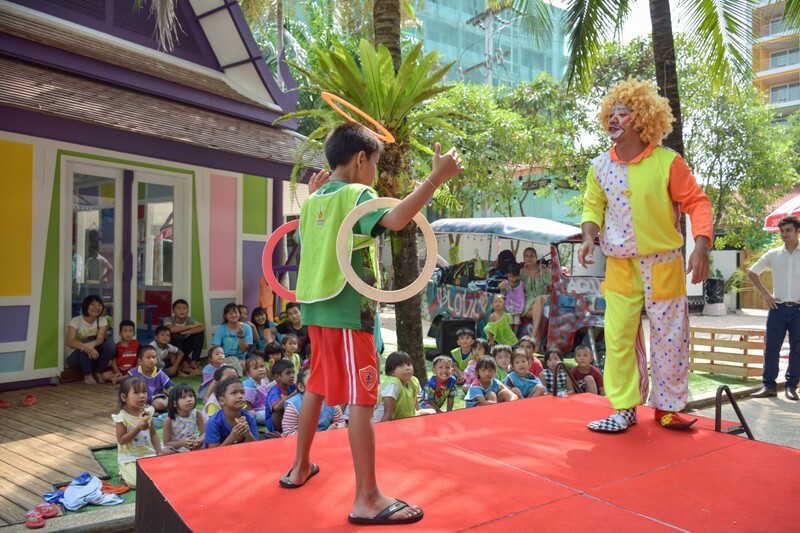 Having filled themselves to bursting, our Activities Manager performed a series of skits to entertain them and performed magic tricks and juggling as well as organizing interactive games and finally ending with some stunning balloon bending – where he personally provided specially shaped balloons for all the kids as per their wishes. 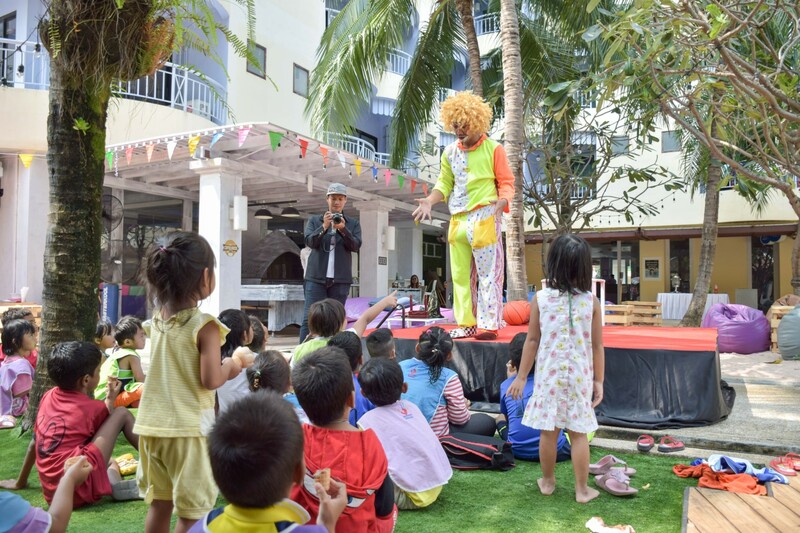 It was a genuinely heartwarming day seeing the kids thoroughly enjoying themselves and making the most of their time at Mercure Hotel Pattaya. As they departed, we took a customary picture with the whole group and hotel executives and bid adieu in the hope that they will return someday to enjoy the fabulous experience all over again.